In this article, we have compiled all the important information you need as a new webmaster to plan and successfully build your own website. There are three main steps you should consider: You should select a web host, domain name, and an application to create and manage your website content. How to select a web host? So you would like to know how to choose a web host? Choosing a web host is the first step you should consider when you want to start a website project. To get your site online you would need a host. Your place on the WWW is secured thanks to the web hosting provider. The web hosting service includes the space in which your website files are stored, data traffic, and many additional services such as firewall protection, technical support, e-mail service, FTP access, domain registration, website building Tools and much more. Price: Can it work with a free web host? Technical support is always needed, at least from time to time. When you start building your web page, you will also ask questions such as How to start; How to upload files; How to create an e-mail account, etc. You will need the answers to these questions as soon as possible or even immediately. Therefore, your web host should provide 24×7 technical support. Your technical questions should be answered within 1-2 hours max. In addition to the speed of the feedback, you should also check the professional competence. And do not go looking for phone support – the phone support lines are always busy when you need them. The most efficient companies use ticketing systems. So you can list all technical details of the problem within the scope of a ticket. If all information is available, the inquiry can be answered much faster and more accurately. Hosting features: web space, bandwidth, CPU, PHP limits, etc. The characteristics of web hosting plans are growing all the time. In 2003 the max space per shared hosting was 5 MB. In 2017, some providers offer almost everything unlimited. Attention! Read the terms and conditions to check what’s limited. If you start searching online for a web host right around Black Friday and Cyber Monday, you’ll be flooded with offers from a myriad of companies offering excellent packages, additional disk space, and more. 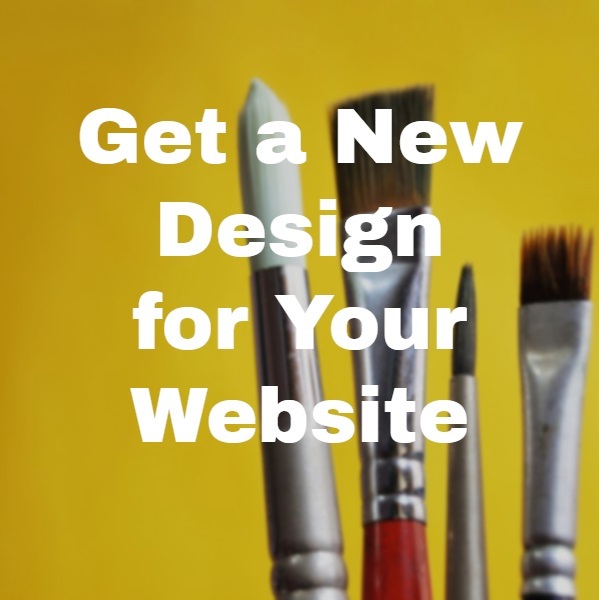 If you’re a new webmaster, you’ll soon be confused by the many options offered to you. Among the first decisions, you have to choose between a dedicated web host or a shared host. Do you invest in domains and hosting routinely? In that case, this is the time to take out your money. Check out Black Friday Hostgator deals to read more. A shared host is a web server that houses thousands of sites from dozens to hundreds of different customers. Thus the term, “shared web host” used to describe it. A dedicated web host is an exact opposite, i.e., it is dedicated to hosting the website of one customer (or sometimes, a limited number of clients) only. The benefits of a dedicated web host against a shared web host are evident. Since your files reside independently on a single server, you have much more control over your websites, the kind of software, programs you can install on the web server, its configuration, and more. If you’re looking to build a large project or host a website with heavy traffic, you must seriously consider a dedicated web host. The second thing you must consider is choosing between a managed or unmanaged dedicated web host. With an unmanaged web host, you’ll have to be responsible for software updates, bug fixes, etc. With a managed web host, all these tasks will be done by the hosting company itself, thereby leaving you free to handle your site. Luckily on Black Friday, you can find deals for all types of web hosting. Again, the benefits of a managed web host are evident. It’ll save you a lot of time and stress if you let the web hosting company manage the affairs of updating and maintaining the server. However, if you do have employees who are well versed in running a server, an unmanaged web host might be a better option. When it comes to choosing a dedicated host, your number one consideration must be reliability. A web host that has uptime of less than 99.9% is not worth your time. If your site is down even for half an hour in a day, you can end up losing some valuable customers and eyeballs. Another critical thing to consider is the customer support. Managing a website can be a daunting task, and web servers can be complicated to understand and handle. Sooner or later you’re going to end up needing help from your web host. Thus, choose a web hosting service that boasts quick response time and phone as well as email support. Finally, you must consider the cost. More often than not, in the web hosting industry, you get what you paid for. A cheap host, therefore, is not recommended. It is better to be safe than sorry when it comes to choosing your hosting company. Pick from some of the established players with a proven track record (Hostgator, Media Temple, etc.) rather than some unheard of company that has lower prices. Domain hosting, also called web hosting, is when a domain is pointed at a server, and the server hosts the files of the website. Domain names are used as the URL to distinguish individual web pages. Domain hosting is typically used in conjunction with web hosting, and many companies offer them in packages. Been Away from the Tech World? Looking for matching email address together with access to unlimited email accounts is essential mainly if you have a domain name which is entirely yours. A reliable service provider will not think twice to offer free domain to their customers, and this is a trait of a good web host. The fact that the web host also provides File Transfer Protocol for web hosting is crucial. Check out FatCow to see what this article is about. An integral aspect of a good web hosting provider is the fact that it can provide ample support all day and night through chat, email, etc.. That makes the service dependable. People can extract a bounty of information from a FatCow Review, which is (or should be) sincerely created by customers who have made use of the hosting service. You need to read a couple of FatCow reviews if you want to contract their services (be it for an e-commerce site or anything else). These serve as a guide for anyone who wants to check out the service and compare it to many other equally designed services. Just follow the instructions at each step along the way. It’s a nice feature we added after reading a WebHostingHub review. Cards are stashed in a non-indexed directory so only you and the recipient will know how to find it. This method also protects you from spam. After you have completed the card, you will be shown a preview. If you do not like your card, just edit and resend it, or cancel the request altogether. The recipient will receive e-mail, advising where to find the card. Click the image to check out the actual size (if you like), then indicate your selection using the appropriate radio button (only one per card!). None of the text descriptions or titles below will appear on your card. In the boxes below, first enter your name and E-mail address, then your recipient’s. Using the two pulldowns below, select your text and background colors. -Careful not to use the same two colors! In the box below, enter your message. Feel free to use HTML tags if you like. You are now ready to preview your card! Click the PREVIEW button below. If you want to clear the form and start all over, select START-OVER.